MTABC’s organizational mission is to promote excellence in music therapy practice, research, education and development, to further the awareness of music therapy in British Columbia and across Canada, and to serve as an organizational agency for our members. MTABC is a provincial association in cooperation with the Canadian Association for Music Therapy (CAMT). Members with MTA credential (Music therapist accredited) provide competent professional services, are fully qualified and accredited with CAMT, and adhere to organizational bylaws and code of ethics. We believe that music is an important and meaningful necessity in our lives. We know that music, being common to all cultures, enables people to feel a sense of belonging, have identity and creatively express themselves. Music therapists use music and clinical interventions in process-centred ways to garner outcomes that help clients improve, maintain, and restore a state of optimal well-being. Music therapy is a valid clinical and creative practice, grounded in a clinical skill set of assessment, planning, intervention, and evaluation. We believe that musical experiences are integral to sound health. Therapists working Oliver Sacks, the well-known neurologist and celebrated author of Musicophilia, stated that “music is as powerful as any medicine”. We bear witness to this statement every day in our clinical practice and in research. The lyrics to a song can elicit past memories of people and experiences we haven’t thought about for years. Music can give voice to our abilities to express ourselves musically, physically, emotionally and socially. 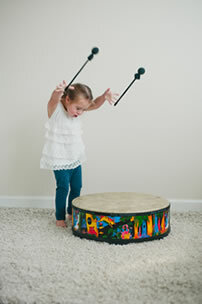 Rhythm resonates our physical bodies in expressive ways ranging from relaxation to dance. Sounds communicate without words. Through a variety of approaches in health care, community and educational settings, music therapy helps improve communication skills for children with autism, facilitates social bonding for those living in impoverished communities, supports speech acquisition for children with language delays, and increases playful creativity for all ages. Music therapists support clients in exploring personal growth and deepening spirituality at the end of life. Music therapists singing songs with those with dementia help them to tap into memories of long ago, bringing a sense of joy and connection rarely experienced in day to day living. We believe in the power that music has to transform, transcend and heal. We believe in people’s power to change their lives. We believe in music therapy. We, as a team and as individuals, trust and respect each other. We each take responsibility for directly expressing our ideas and feelings to the team and/or individuals involved. We take the time to actively listen to each other. We carry out our commitments. We value each other, and respect our differences. We make our time together enjoyable. We are clear in defining and communicating our expectations. We give autonomy in meeting team goals, and provide support as necessary. We are clear in defining and honouring our boundaries.